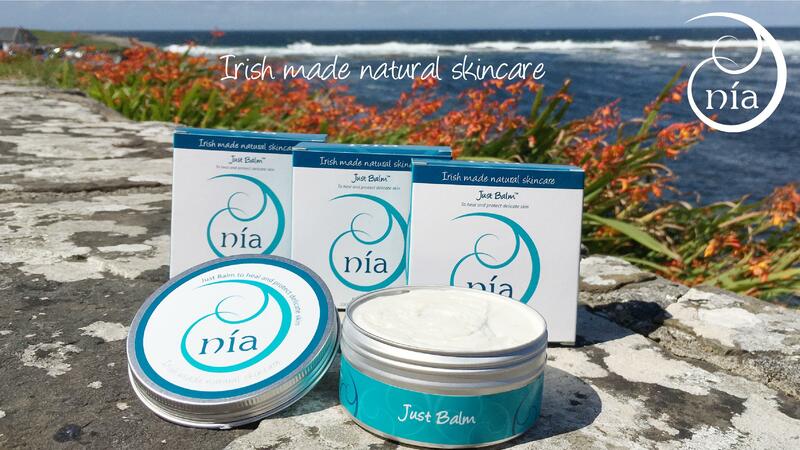 Nía, which means ‘radiance’ in Irish is a range of natural skincare and beauty products lovingly created in Ireland by a skincare expert with over 30 years’ experience, Celia O’Grady. Her passion for health and wellness inspired her to create her own range of face and body care, using natural butters, oils, and superfood ingredients. Nía Natural Beauty specialises in balms which are made without the use of water so eliminating the need for preservatives which is mainly what causes allergic reactions in sensitive skins. The delicate formulas of all Nía products are carefully researched for their beneficial properties. All ingredients used are healthy, sustainable vegan and are suitable for all skin types including sensitive skins.